Whew! It’s been a busy day. Now, back to real life. I still need to post something to my fiction blog… Do you read my fiction blog? I’ve posted something every day this year so far. There have been days when I’ve felt like giving up and just skipping it, but I’m stubborn. When I get something in my mind that I’m going to do, I do my damnedest to stick to it. I expect far more from myself than I do anyone else. In fact I live by the adage, Never expect anything of anyone, and you’ll never be disappointed. I find it fun to do things for people without expecting a thank you, and it’s allowed me, with practice, to find ways to do things for people and have them not even realize that I’ve done it. It’s gratifying. And it all started for me with that adage. Life is so much simpler, so much less stressful when there are no expectations. Expectations live in the future. I strive to live in the moment. Here, where I am right now there is just me and my surroundings. Nothing is in my way when I am still. I can choose a clear path when I am concentrating on where I am, rather than where I should be. Being in the future before I arrive blinds me to where I am. Does that make sense? Anyway, before I go I just wanted to say thank you to the four (so far) participants in the SoCS Badge Contest with their amazing entries. 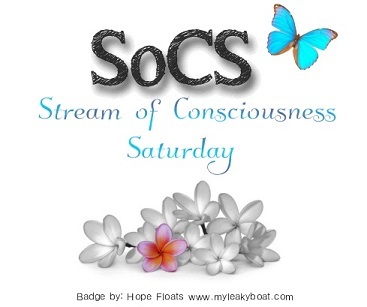 If you haven’t seen them yet, go here https://lindaghill.com/2016/08/04/its-the-3rd-annual-socs-badge-design-contest/ and look in the comment section for the links. And don’t forget if you plan to enter, do it soon! This post is part of Stream of Consciousness Saturday, which you can find here: https://lindaghill.com/2016/08/05/the-friday-reminder-and-prompt-for-socs-aug-616/ and The Daily Post, where the word of the day is stubborn. Categories: advice, Blogging, Blogs, Life, Opinion | Tags: #dailypost, badge contest, inspiration, SoCS, support, The Daily Post, writing, writing prompt | Permalink. And now I’m at a loss for words. 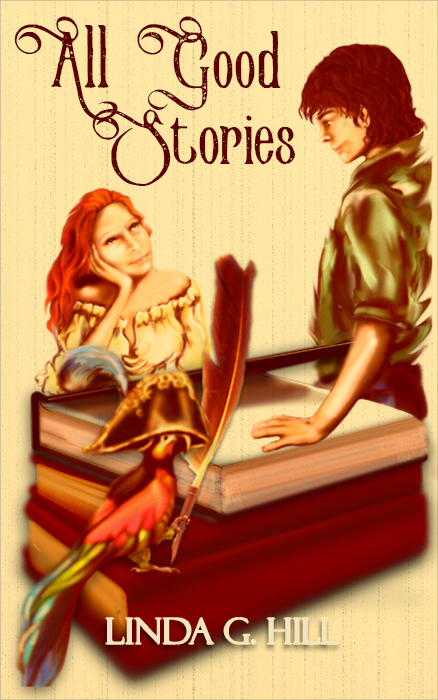 All Good Stories is a romance novelette that was begun as a project for the A-Z April Challenge in 2014. It was originally written entirely off the cuff and posted on my fiction blog unedited. As best friends, Xavier and Jupiter have always been supportive of each others’ romantic relationships. But when Jupiter meets Bob online, Xavier can’t help but feel he needs to come to her rescue. There’s just something about Bob. In the process of preventing Bob from wooing Jupiter away, Xavier realizes he’s been in love with her all along. Can he keep her safe and win her heart? And will he ever get to read her manuscript? Join Xavier, Jupiter, and a quirky cast of characters in this fun romantic comedy novelette with a twist you won’t see coming. “A fun, easy read. It had me chuckling many times.” ~ Jeanne Owens, author of Kismet and Tell, and Chronicles of Riss. All Good Stories will be available on Kobo by its release date! Please feel free to share this post on your blog and all over social media! Thank you! And happy reading! 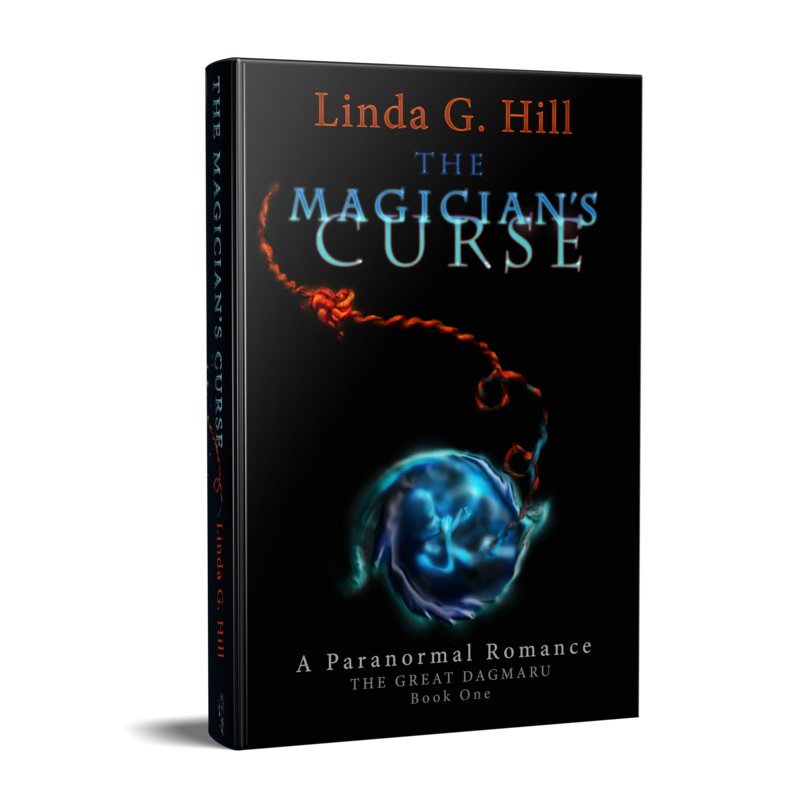 Categories: A-Z April Challenge 2014, All Good Stories, Cover Reveal | Tags: #atoz, #atozchallenge, #comedy, #debut novel, #romantic comedy, Linda G. Hill, new novel, novelette, romance, Romance novel | Permalink.